Cairo, Egypt, 23 January 2019 – The Egypt Petroleum Show (EGYPS) returns with its third annual flagship strategic conference this February, kick-starting the opening of the Show on Monday 11 February, 2019 at the Egypt International Exhibition and Conference Center (EIEC). 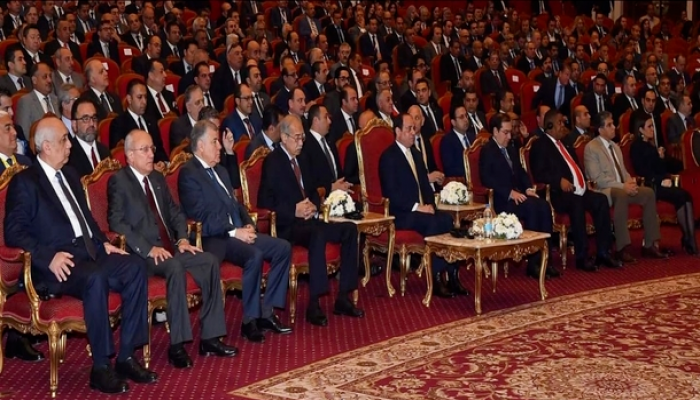 Held under the patronage of the Egyptian President Abdel Fattah El Sisi and with the support of the Ministry of Petroleum and Mineral Resources, the central theme for EGYPS is "North Africa and the Mediterranean's Journey in Delivering the Energy Needs of Tomorrow". Senior level representatives including His Excellency Mohammad Sanusi Barkindo, Secretary General, Organization of the Petroleum Exporting Countries (OPEC), His Excellency Dr Xiansheng Sun, Secretary General, International Energy Forum (IEF) and His Excellency Abbas Al Naqi, Secretary General, Organisation of Arab Petroleum Exporting Countries (OAPEC) and Dr Houda Ben Jannet Allal, General Director, Observatoire Méditerranéen de l'Energie (OME) will also discuss critical industry topics, such as the rebalance of global markets and reinventing global trading routes. Day one will further feature three global business leader sessions with speakers including Patrick Pouyanné, Chairman and CEO, Total, Bob Dudley, CEO, BP, Marco Alverà, CEO, Snam, and Russell Hardy, Group CEO, Vitol. Global business leaders will share their insights on creating open gas markets, moving towards cleaner-burning fuels, and capitalising on the new era of digitalisation. Moreover, a series of parallel strategic roundtables will take place on the eve of the first day to examine opportunities within North Africa and the Mediterranean region’s oil and gas industries, promote collaboration, and share knowledge.